We just finished writing up a review of the Phantek PH-TC90LS. HTPCBuild.com has a slightly different review approach. We know that most people are accustomed to benchmarks, temperature data, etc. 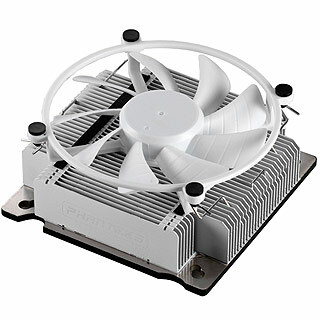 We feel that this information is readily available, and realistically any cooler can provide sufficient cooling for a HTPC build, whether it be a Standalone or All In One. Instead we focused on the claim’s put forth by Phantek USA about its products, and the practicality of the Phantek PH-TC90LS heatsink in a HTPC application. You can find the review here, at the end of the review you can find links to reviews with more temperature data.